Being summoned to a driver conduct hearing by the Traffic Commissioner can be a stressful experience for any PSV driver. Very often the first that you will know about it will be when a letter from the Traffic Commissioner arrives on your doorstep. 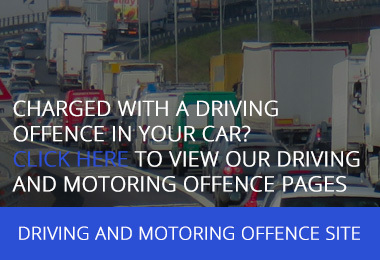 Typically, the letter will set out the reasons you have been called in, and what action the Traffic Commissioner can take against your licence. A driver conduct hearing is not unlike a court hearing before a judge. The Traffic Commissioner will open the hearing and set out the reasons you have been called in. You will then have the opportunity to present your case. Typically, you can expect to be questioned in detail by Traffic Commissioner before they decide what action (if any) to take against you licence. Drivers seeking the return of their PSV licence after a driving ban can also usually expect to be called in to a driver conduct hearing. PSV drivers who fail to turn up to their driver conduct hearing do so at their own peril. In almost all cases the Traffic Commissioner will proceed with the hearing in their absence and will either suspend or revoke their licence. If for any reason you really cannot attend on the date set, it is essential that you contact the Traffic Commissioner’s office immediately and seek leave to adjourn the hearing. • 624 received verbal warnings. These statistics demonstrate that driver conduct hearings are serious matters, with real implications. In some cases, the Traffic Commissioner will choose to hold a PSV driver’s conduct hearing at the same time as a Public Inquiry hearing into their employer’s PSV operator’s licence. This usually occurs when a number of different drivers have committed conduct offences all whilst working for the same operator. This can be a stressful experience, particularly if the evidence that you give may implicate your employer. In cases like this, it is always wise to seek legal advice. It should come as no surprise that a great many vocational bus and coach drivers choose to be represented at their driver conduct hearings by a transport lawyer. In many cases the basic facts of a case are agreed and the role of the transport lawyer is first and foremost to collate and present to the Traffic Commissioner on your behalf the mitigating factors in your case, and to draw the Traffic Commissioner’s attention to any points of law and sentencing guidelines that are relevant. In other cases, when there is a dispute over the evidence, they can help you present your case. They will do what they can to get the best outcome for you possible. Smith Bowyer Clarke is a nationwide specialist road transport law firm. 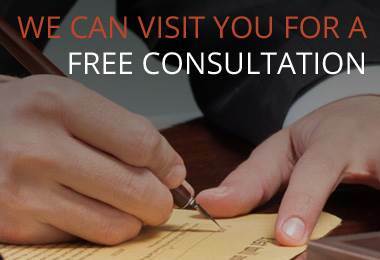 We offer free initial consultations and for a single fixed fee we can take your instructions, advise on how best to present your case and what evidence needs to be gathered, and attend with you to represent you at your hearing. For more information on driver conduct hearings, click here.